As a stark piece of land, baked by the sun and battered by gritty winds, the Skeleton Coast may appear to be kilometre after kilometre of nothing, or at least nothing of value. Yet, in terms of conservation, the Skeleton Coast Park is priceless. No matter which way the compass points in the Skeleton Coast, it leads to an essential link in Namibia’s ambitious plans for expanding the country’s network of national parks. To the north, the Kunene River separates Namibia from Angola, but at the same time, the important wetland at the mouth of the river is a link between the Skeleton Coast and Angola’s Iona National Park. 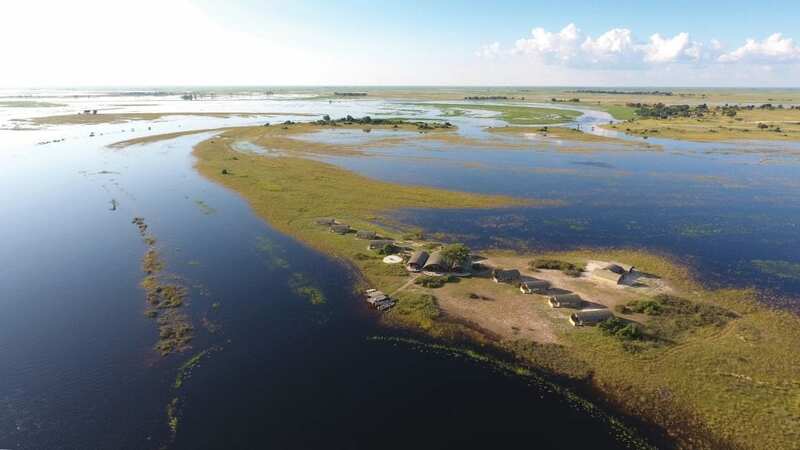 The conservation of this wetland and the life it supports provides part of the environmental impetus for the proposed Transfrontier Conservation Area between our two nations. To the west a network of ephemeral rivers, which includes the Hoarusib, Hoanib, and Ugab, provides lifelines for wildlife moving towards the sea from the interior and back into the desert. With progress being made towards the proclamation of the Kunene People’s Park linking the Skeleton Coast and areas of Damaraland with the Etosha National Park, in the near future these ancient wildlife migration routes will be more fully restored. To the south, the Ugab River is the border between the Skeleton Coast and the proposed Central Area of the Namib-Skeleton Coast National Park. 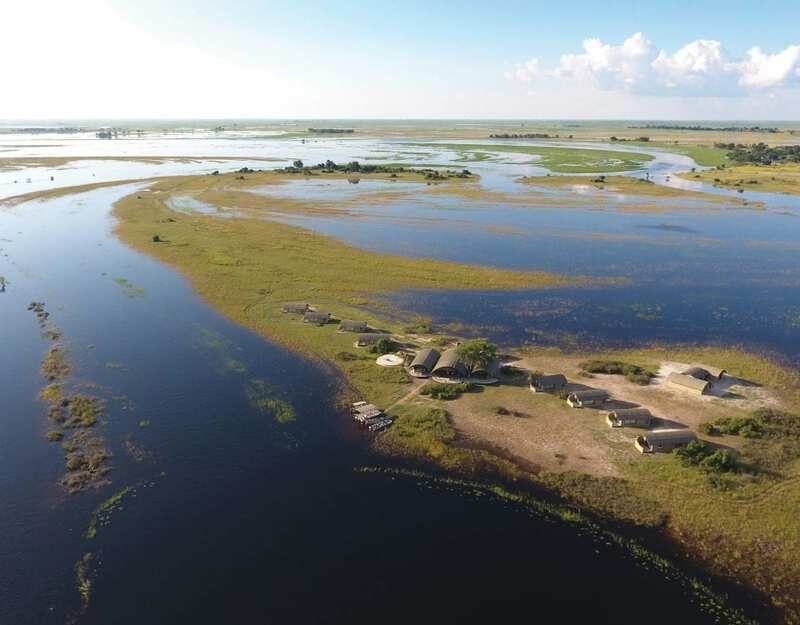 Once established, the complete park will extend the entire length of Namibia’s coast, 1 570 kilometres from the Kunene River in the north to the Orange River in the south. At the crossroads of these three important conservation areas, the Skeleton Coast is crucial as a conduit for reconnecting and conserving vast tracks of land. Seen as part of this network or separately, the Skeleton Coast has a large number of different habitats that are of supreme conservation and tourism value. The coastal portion of the Skeleton Coast area, which extends 1 km into the Atlantic Ocean, is 500 km long and covers two marine biomes. When these two systems meet, the cold Benguela system in the south and the warmer tropical system in the north create a zone of marine importance, of which the tidal zones are crucial to fish breeding, shellfish populations, seal colonies and the coastal tourism industry. At the northern extreme of the Skeleton Coast is one of only two permanent river estuaries in Namibia, the Kunene River estuarine system, a proposed RAMSAR site. Home to a high number of wetland bird species, including a significant White Pelican population, it is also an important stopover for migrating palaearctic waders. Nile crocodiles and marine green turtles are also found here, while the Kunene mouth is the only place in Namibia where the Nile soft-shelled terrapin occurs. This wetland area of international significance is zoned for the highest levels of protection that legislation, zonation and management practices can provide. The marine terraces and coastal gravel plains of the park are extremely sensitive and have a high aesthetic value that is important to the sense of place, embodying what tourists to Namibia seek. They are also important breeding grounds for near-threatened Damara terns and other endemic bird species. 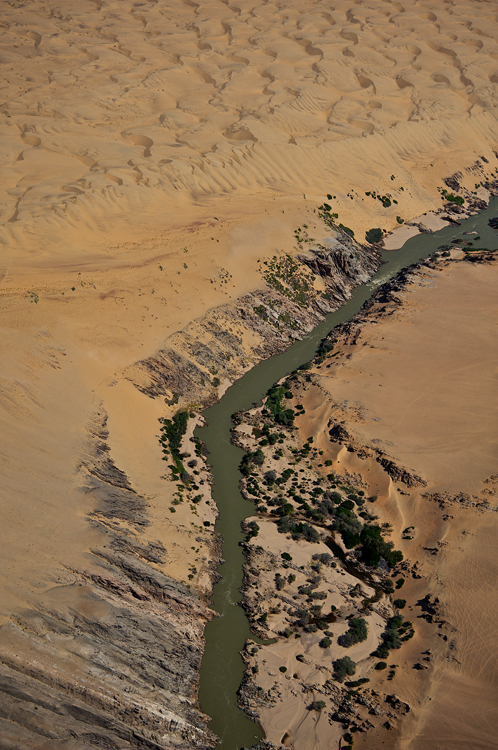 The westward-flowing, ephemeral rivers, including the Hoarusib, Hoanib and Ugab that intersect the park, provide crucial habitat for a great diversity of reptile, bird and mammal species. Another eleven major ephemeral rivers flow into the Skeleton Coast. All of these linear oases are important migratory highways for wildlife, inclu-ding elephants, hyaenas, lions and various antelope species, and, as such, their conservation is important to wildlife populations and to tourism in the area. Small ephemeral fountains and springs are sprinkled across the desert in the Skeleton Coast. Because these sites are remote and usually surrounded by vast, arid expanses, they are disproportionately important to wildlife that depends on drinking water to survive. Sand dunes and dune hummocks, important for coastal biodiversity, are home to a variety of invertebrate and vertebrate species, including at least 90% of the world population of Gerrhosaurus skoogi (formerly Angolosaurus skoogi), the world’s largest herbivorous lizard. On gravel plains and hills close to the coast, lichens and other important plants occur. Most lichens are endemic, and not only play an important role in stabilising the soil; they are also an important link in the food chain. Inland, after rains, vast gravel plains support annual grasslands that draw abundant herds of wildlife to the area. In terms of sheer physical beauty, the Skeleton Coast has few rivals. Among its wonders are dunes that roar, castles of clay, beaches that sparkle with wind-polished stones, and extensive saltpans, some of which are thought to cover ancient shipwrecks. Remnants of old and new shipwrecks and the shelters of early inhabitants and explorers who struggled to survive the inhospitable coastline and desert are among the sites of historical interest. Given the vulnerability, variety and importance of the landscape and the life it supports, the entire Skeleton Coast area of the proposed Namib-Skeleton Coast National Park is zoned as either acutely sensitive with a high conservation value or managed for conservation and controlled tourism. While recreational activities such as angling and hiking are allowed in certain areas, no mining or prospecting is permitted and old mining sites are destined to be rehabilitated, with the land restored as closely as possible to its natural state. Low-volume, low-impact tourism development must also be managed to ensure that the diversity and integrity of the fragile Skeleton Coast is maintained. 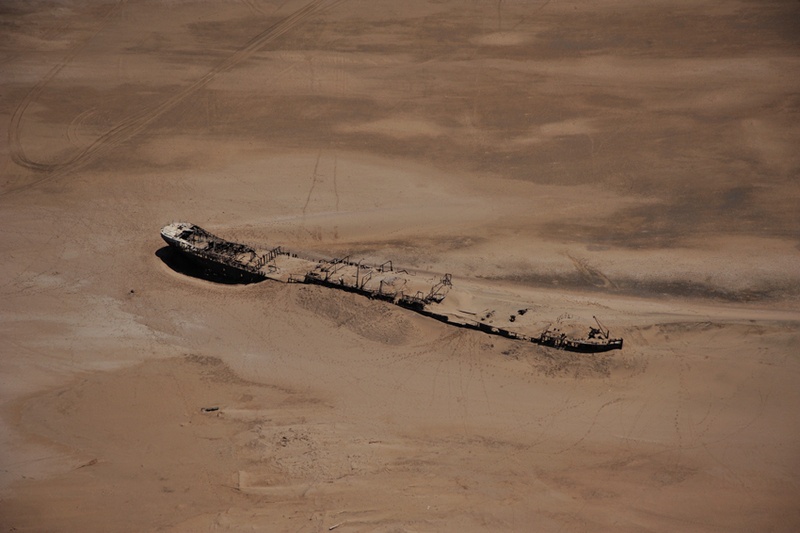 The Skeleton Coast has had a fascinating history. Its geological and archaeological history gives us an intriguing glimpse into the past. In its current state, the ecological importance of the park to sea creatures as a sanctuary and to wildlife as a corridor for movement in a hostile setting is critical. Yet, with its links to two important conservation areas in Namibia and one in Angola, the future may prove to be the most exciting time for the Skeleton Coast.